Today I’ve got a great salad perfect for the upcoming warmer seasons. 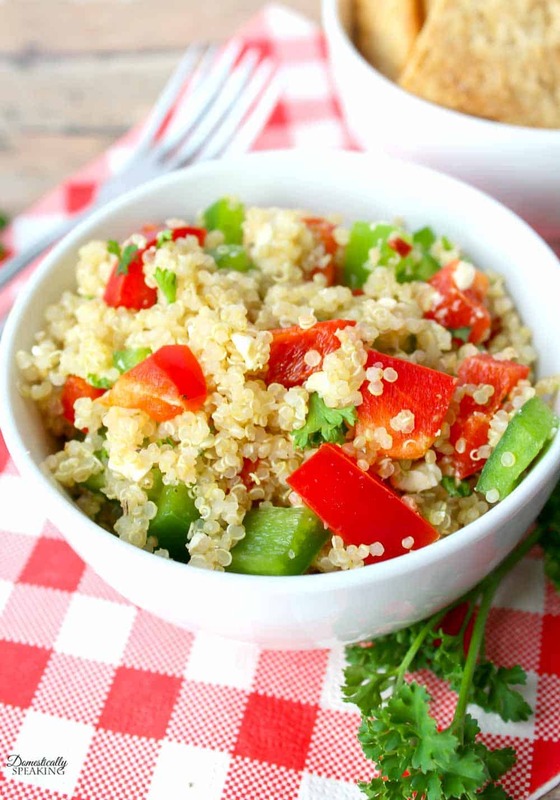 This easy Mediterranean Quinoa Salad is the perfect entree or side dish. 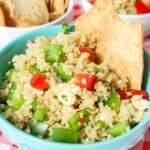 I’ve recently been making all our quinoa in our pressure cooker, it’s so quick and easy that way. 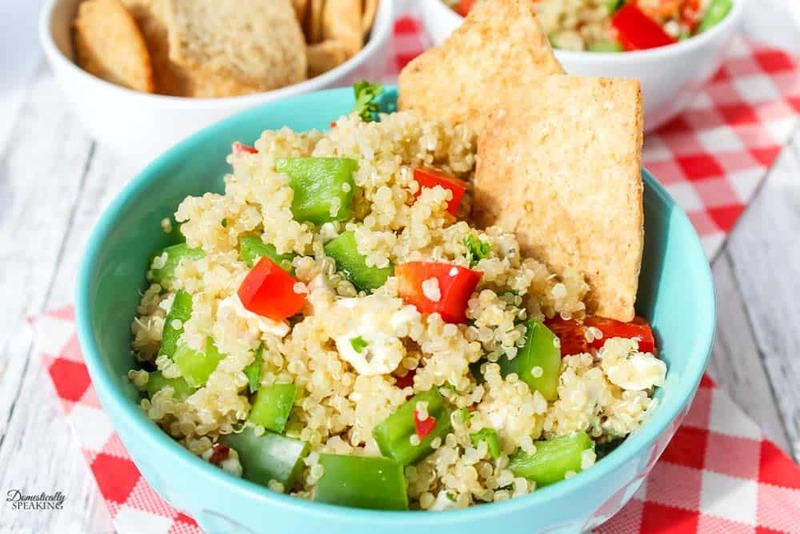 This quinoa salad has an easy dressing, fresh veggies, and of course cheese. 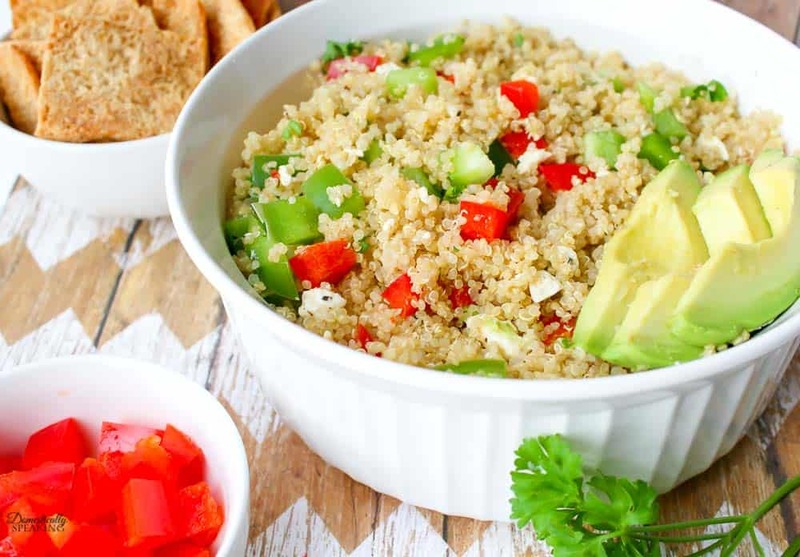 Quinoa is a great whole grain, as it’s rich in protein, fiber, vitamins, and minerals. 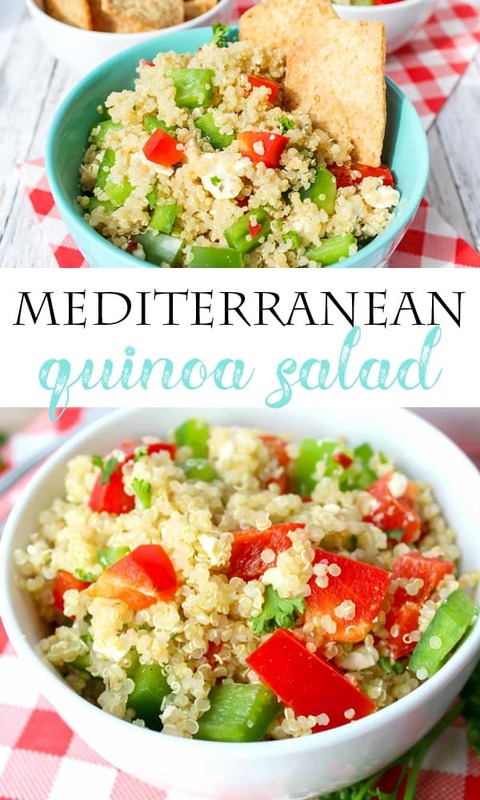 An easy Mediterranean Quinoa Salad that is perfect as an entree or a side dish. 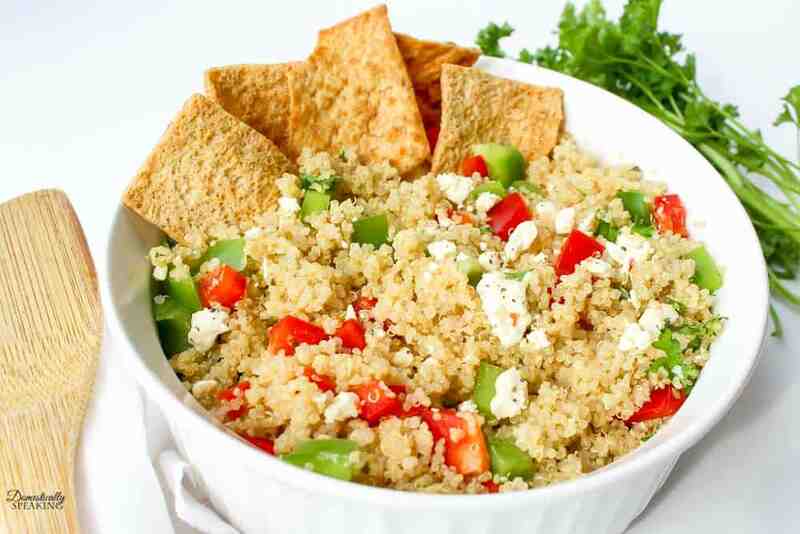 With peppers and feta cheese and protein-rich quinoa. Bring a medium saucepan to medium heat and lightly toast quinoa. This will remove excess water and adds a nutty flavor to the quinoa. If you have an instant pot/pressure cooker see how I make my quinoa here. Once boiling, reduce heat to low and simmer, covered for 12-15 minutes or until quinoa is fluffy and the liquid has absorbed. While the quinoa is cooking chop and prep your veggies. Once quinoa is cooked give it a little fluff with a fork. You could easily add some cooked chicken to this salad. It would be amazing if you marinated the chicken in the dressing and then grilled it up.